Intertap Faucets are a forward sealing faucet. The forward sealing design helps prevent sticking. 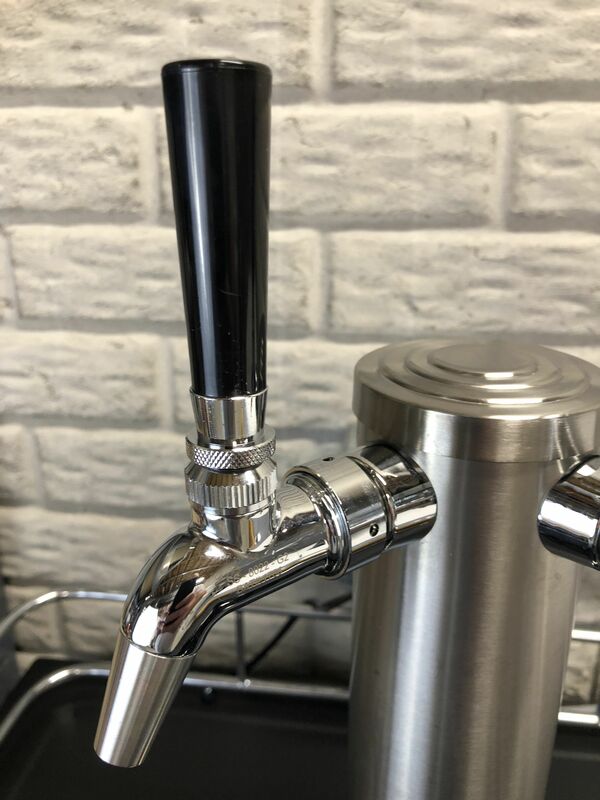 Intertap Faucets have a unique modular, threaded spout design which can fit a variety of attachments including a growler filler, stout spout and ball lock post. Additional, related options are available including shanks and a self closing faucet spring. There are four different faucets available: Chrome plated, stainless steel, stainless steel with flow control, and gold plated stainless steel with flow control. One of the cool design features of these faucets is their modular spout. The spout is threaded and interchanges with other spouts and accessories. Here is the standard spout removed from the faucet body. This is also makes these a bit more cleanable vs a Perlick. 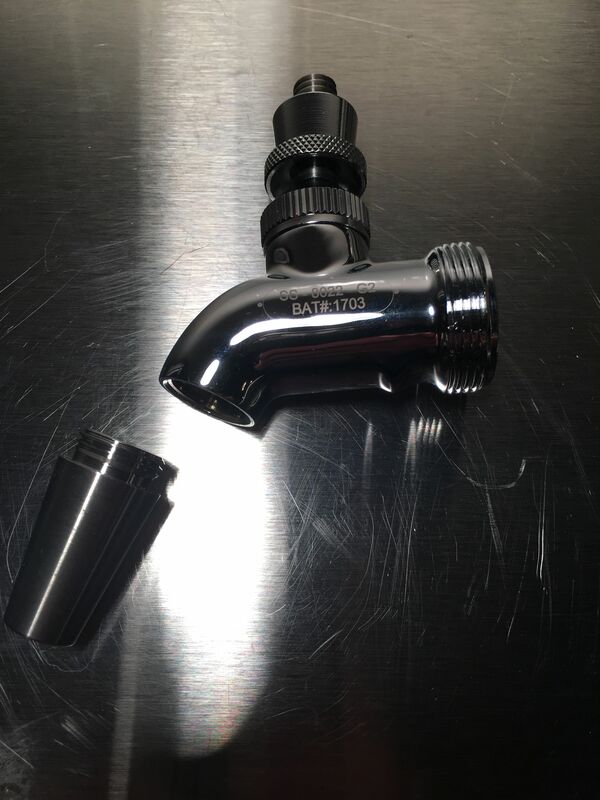 A look at the inside of the faucet body. Notice the o-ring. That’s there to create a good seal with spouts and accessories. Ball lock body installed. 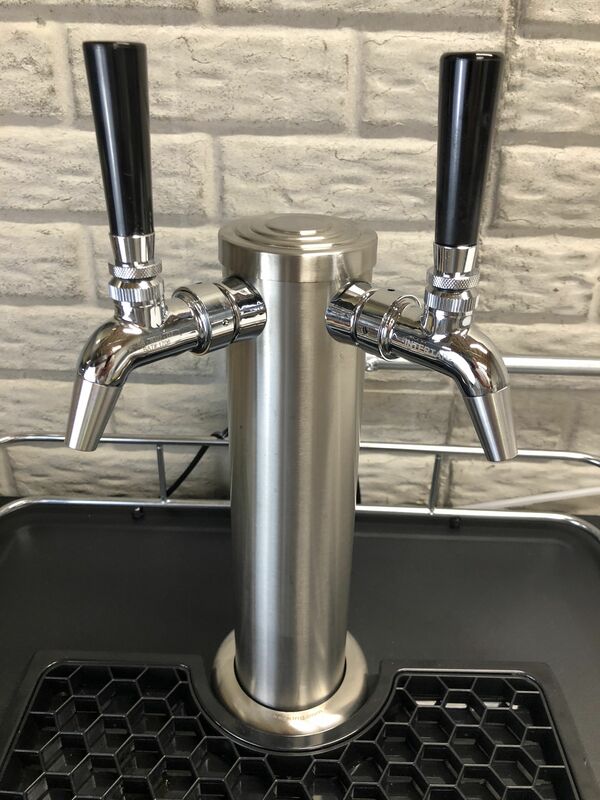 This allows you to fill kegs directly from your faucet. You could also rig up jumpers and more. 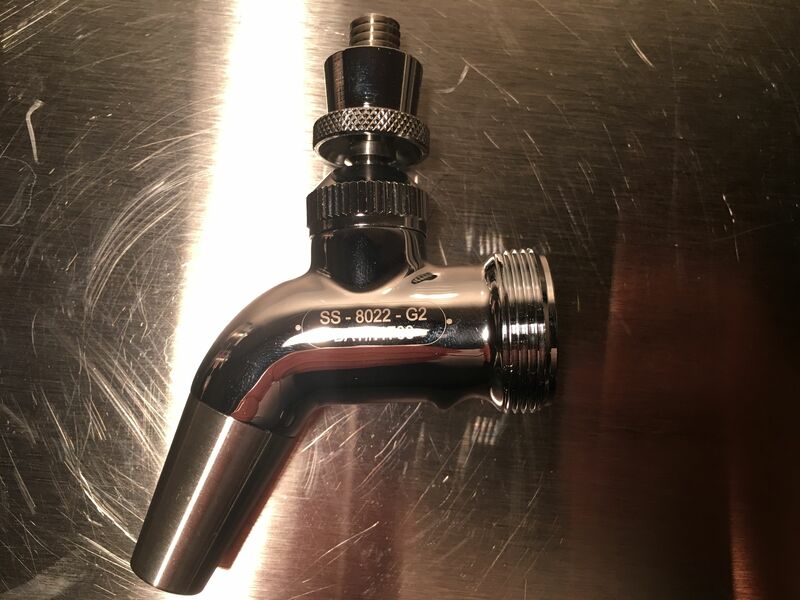 One thought I had was to rig up CO2 line and use this for flushing with CO2 prior to beer transfer. That would allow you to flush the entire beer line along with the keg. Since this feeds to your liquid out tube, you would be purging from the bottom up. Note that to do this you would need to use a liquid ball lock QD. 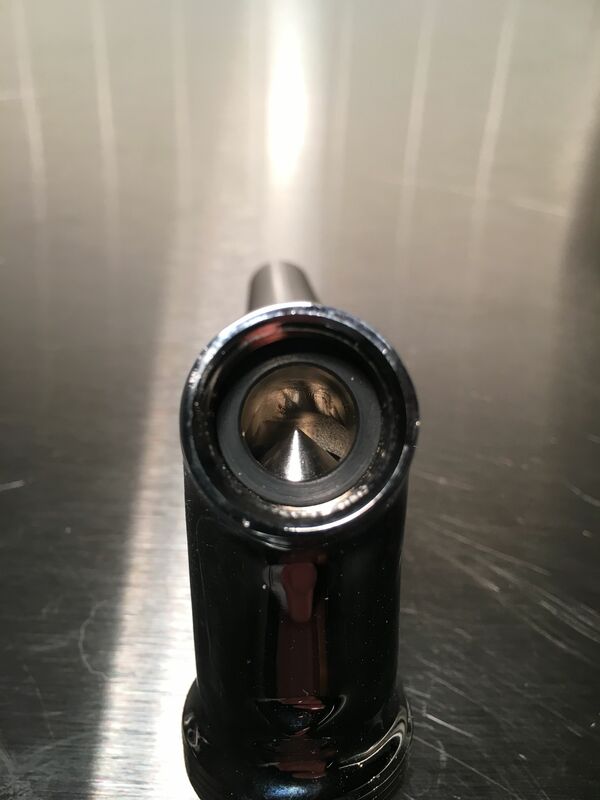 Close up of the ball lock post accessory. This was during the process of upgrading faucets. Here is the new Intertap on the right and the old Perlick (525SS) on the left. 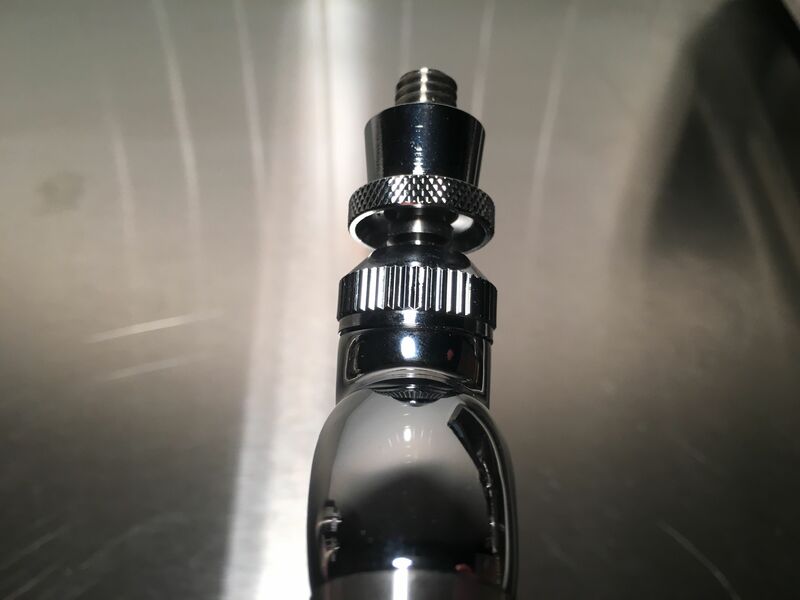 Here is the Intertap with a stout nozzle installed. The Perlick continues to look the same :). 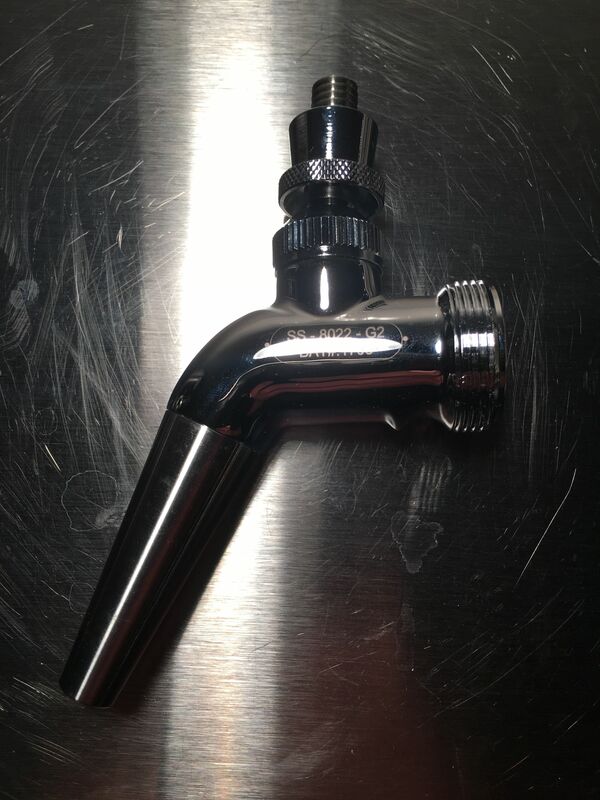 Here is the Intertap with a growler filling attachment installed. 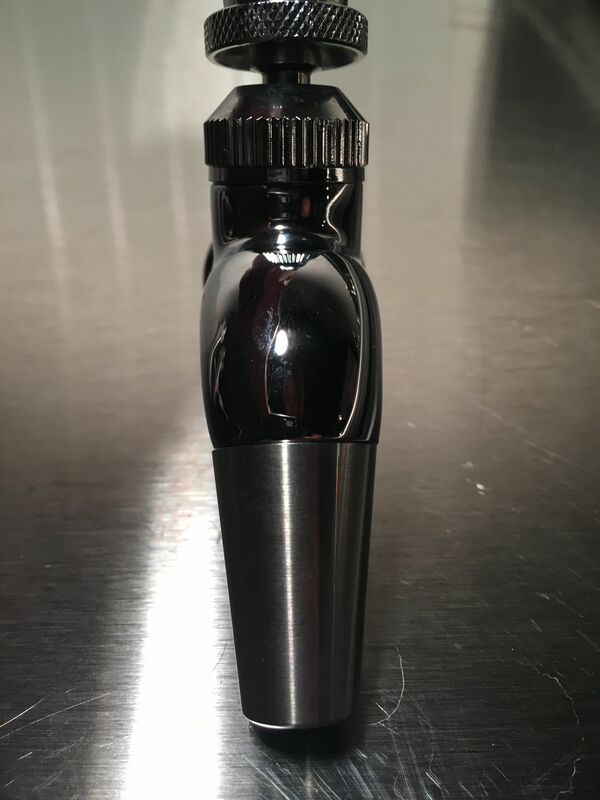 A length of 1/2″ ID tubing fits on this to actually use it for filling up a growler. Here is the Intertap with a ball lock attachment installed. All four faucets upgraded to Intertaps. 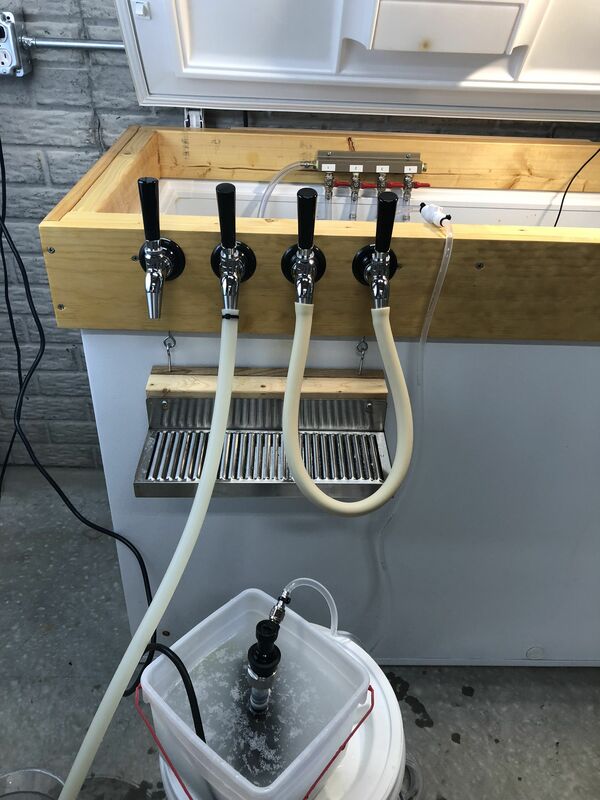 The growler filler is handy for more than just filling growlers. I purchased three of these so I could using them to aid in line cleaning. In this photo I’m cleaning and sanitizing using my keg line cleaner. I’m actually cleaning three lines at once. 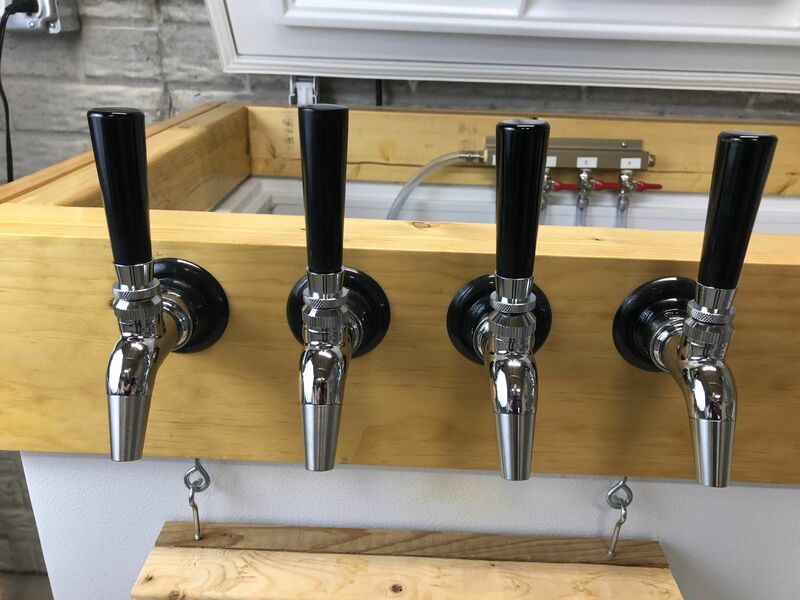 All three faucets have a growler filling attachment installed on them. I’m using a Brew Hardware Ball Lock QD Jumper on the inside. I would say three lines is pretty much the limit for the pump I’m using. 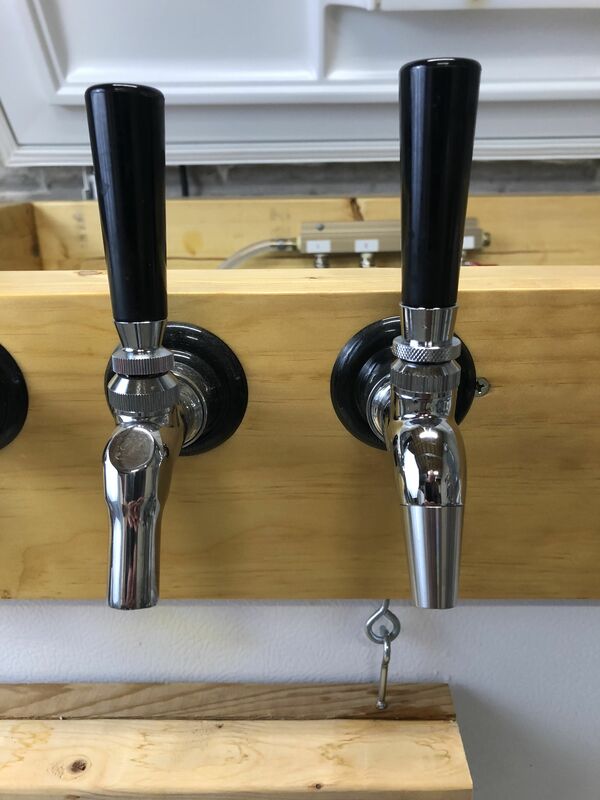 I also have Intertaps on my commercially built kegerator. I have the faucet springs installed on these. Faucet close up on the kegerator. 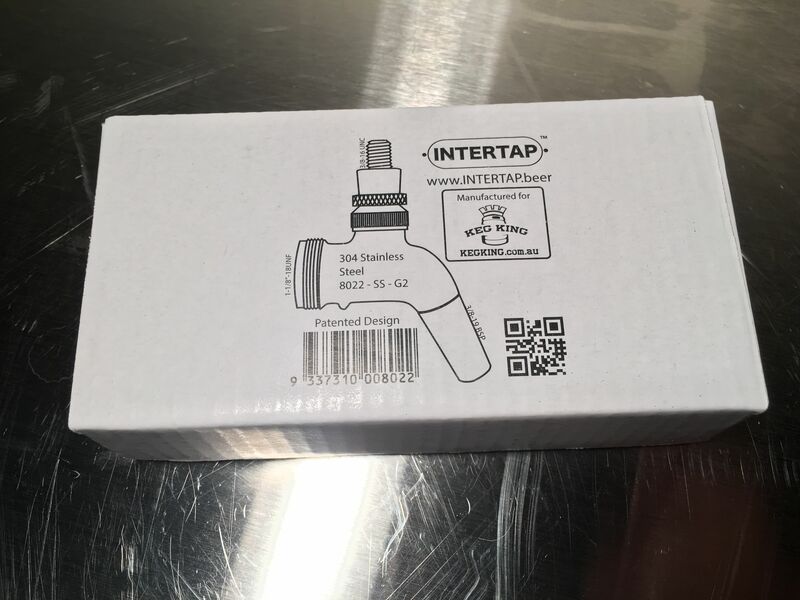 A note about the flow control version of this faucet: The Intertap with flow control includes an adjustable flow compensator. That flow compensator allows you to adjust the resistance your faucet is exerting. That means less tubing and potentially less foaming and wasted beer. 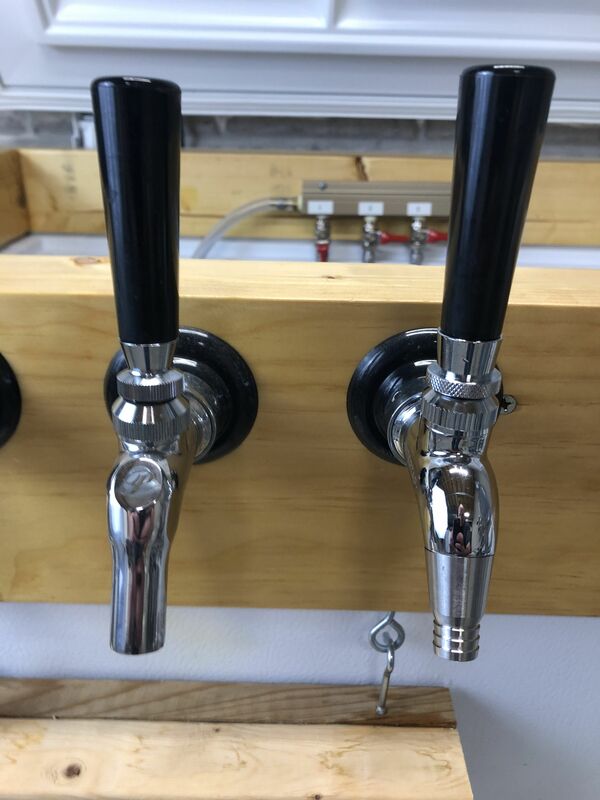 The compensation feature also makes it easier to serve higher carbonation beers as you can set the faucet to provide resistance to offset the increased pressure needed to store these beers. The flow control faucet is also forward sealing and works with all available spout accessories. These are awesome faucets. Beautifully built and well thought out. Available accessories are helpful. These faucets also feel rock solid with you’re operating them. Smooth and steady operation. Considering general price, build quality, features, available attachments and operation, I’m going to go ahead and same these are game-changers. 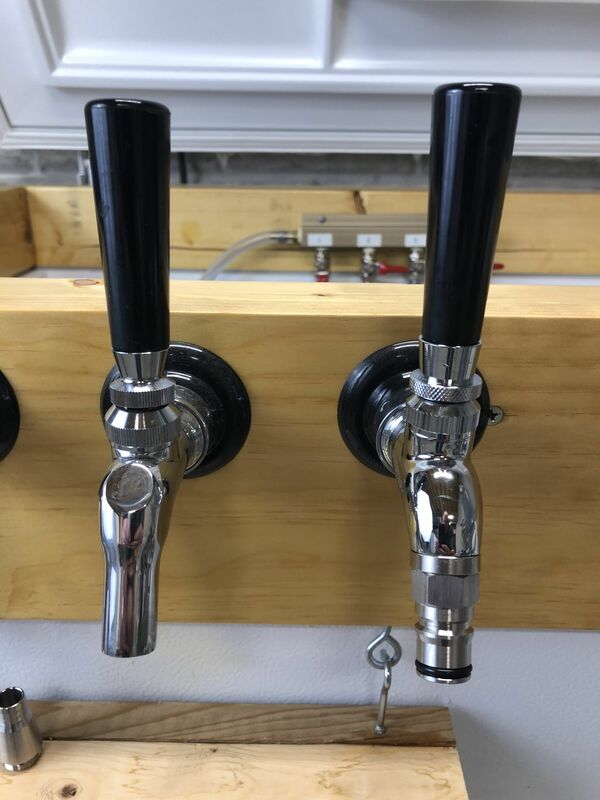 This entry was posted in Draft, Faucets, Featured Reviews, HBF Tested, ig, Kegerator, More Beer, Reviews, Reviews & Top Posts on May 24, 2017 by admin. Been underwhelmed by my flow controls. 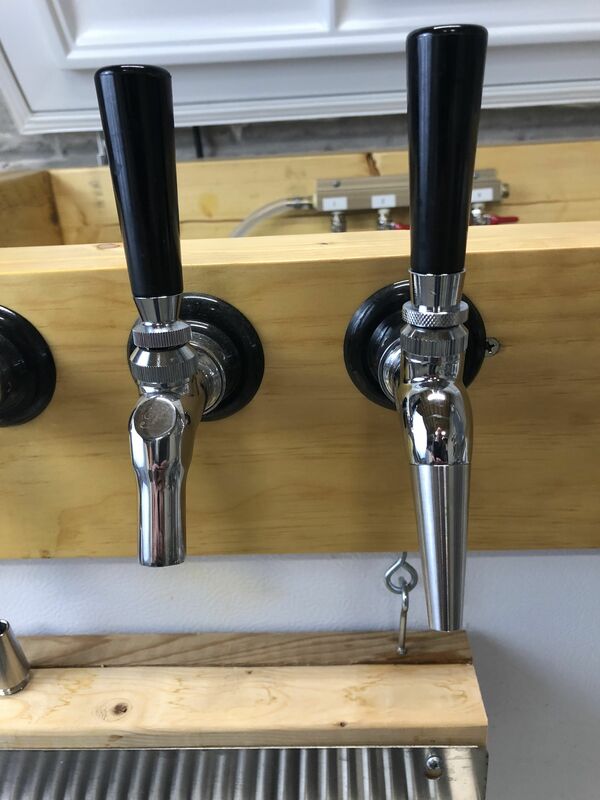 I have 16 Perlick flow controls at my bar and have had no issues. 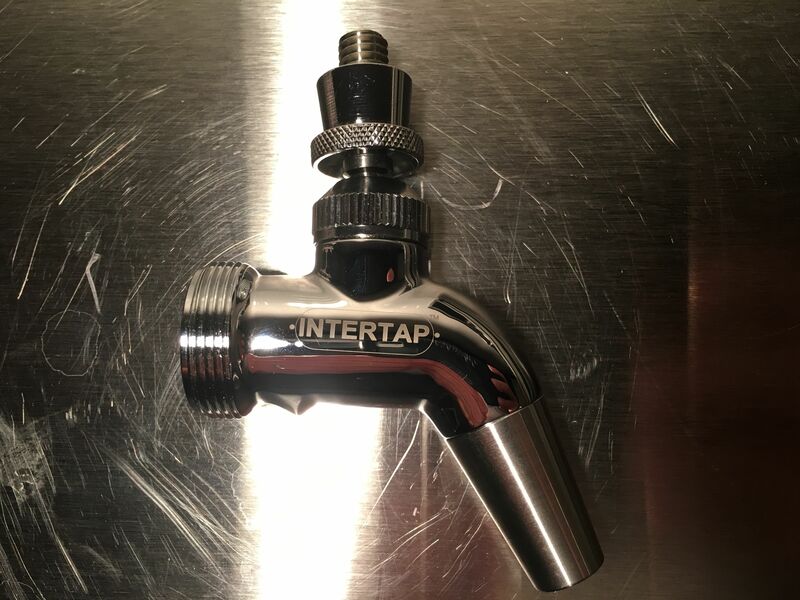 To try something new I grabbed a pair of the Intertap’s to replace my old kegerator faucets and unless you also turn the flow control valve all the way off there is always a slow drip from the faucet. Won’t notice it immediately after filling your glass, but next time you go to the fridge there will be beer down there. Doesn’t happen if I turn the flow control off though. Have disassembled/reassembled the faucet to no avail.